[Solved] How to fix Network Error 0x800704cf on Windows? Is your PC connected to network but you are unable to accessing network PC? If yes then don’t worry as you can easily solve this issue. Simply go with the solution given in this article and after it, you can easily solve this issue and share files and folders via the network like previous. Error code: 0x800704cf. The network location cannot be reached. So, without fixing this error message you can’t share files using File Explorer. This error is similar to the other Windows bugs, and hence the main causes of 0x800704cf error code are not known yet. But after applying some tricks this issue gets fixed, tricks like fixing faulty system configuration, connection problems or registry errors. All the below-given fixes are deeply tested and worked for the most of the users. Find the Network icon present at the taskbar and right-click on it. Now, click on the Open Network and Sharing center and choose Change Adapter settings option present on the left. Here you will see the window with all the Network Connections. You need to right-click on the Wi-Fi and choose Properties. Now, uncheck Client for Microsoft Network and click OK.
That’s all, you fixed 0x800704cf bug on your screen. Open the command prompt with admin privilege. Click on the start menu-> search for the ‘cmd’, right click on the command prompt and choose runs as administrator. Now, type nbtstat –RR and hit Enter key. This command will refresh NetBIOS name. After it, reset IP settings by typing netsh int ip reset command and clicking Enter. At last, reset Winsock Catalog. For that, type netsh winsock reset and click Enter. Reboot your PC and you will see that the error is fixed. Click on the Start and search for the Device Manager. Click on the first search result to open Device Manager. Choose View and select for Show Hidden Devices. Now, click on each of the available adapters on your PC and select Uninstall. At last, choose Action and click on Scan for Hardware changes. After finishing this task, restart your PC. Now you need to type sfc /scannow and hit Enter key to run the command. This command will scan the system files of your PC/Laptop and if fix them automatically. However, if you are unable to fix Error code: 0x800704cf after applying all the above-given fixes then you should try Windows PC Repair Tool. This software is specially designed by the group of professional to deal with Windows system-related errors. 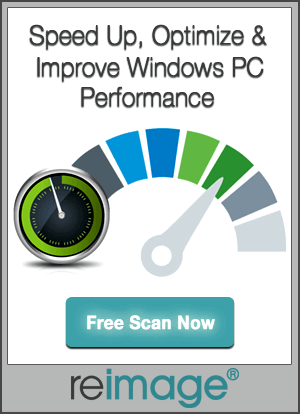 It is highly recommended to run a deep system scan with this professional PC repair tool. This will fix registry issues, malware or other similar issues. And, you don’t need any type of professional skills to run this tool. Simply download, install and run this tool, it will automatically start scanning your PC and fix all types of issues present in your PC. Microsoft’s engineers are provides this particular fix for all the system running on Windows Server 2003. You will become unable to access shares the windows sever system on other computers. If you are running IPCONFIG then you will see “Netbios over Tcpip” as disabled. But, when you go to the property of the Network card GUI then the “Netbios over Tcpip” option is set as Enabled. In order to solve this issue, simply follow the given solutions carefully. Step 1: Open the registry editor window. To do this, press the Window + R and in the appeared run dialogue box type the regedit then press the Enter Key. Step 4: At last, under the same registry key, if the value of “SMBDeviceEnabled” is set to 0 then change the value to 1. So, it is hoped that your system is now error free and working without any issue. It is also recommended to run a full system scan with a professional PC Error Repair Tool. 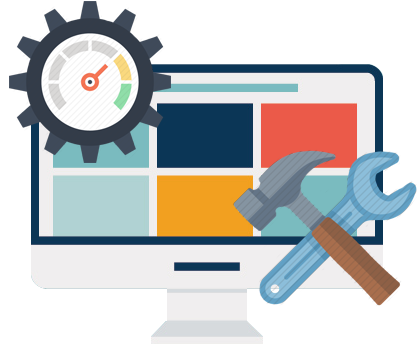 This is the tool that will help you to make your system free from those errors that can be fixed manually. In order to do this, simply download the PC ERROR SCANNER and run it on your system. Unable to access network PC after a proper connection to network ? If yes then apply the given solutions to easily solve this issue.